Pearse Lillis of Ballyea, is disappointed following the All-Ireland Club Hurling Final at Croke Park. Photograph by John Kelly. 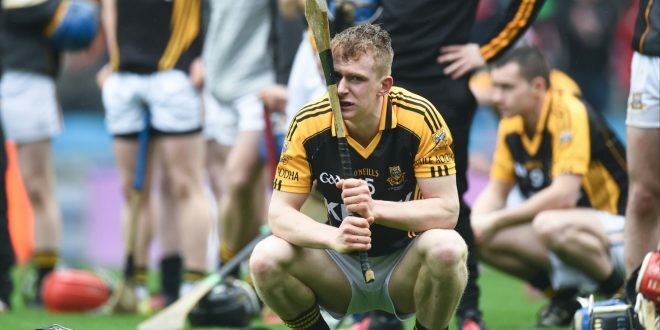 A magnificent season for Ballyea ended in disappointment at Croke Park this afternoon when they were outplayed by their Dublin counterparts,Cuala in the All-Ireland senior club hurling final. 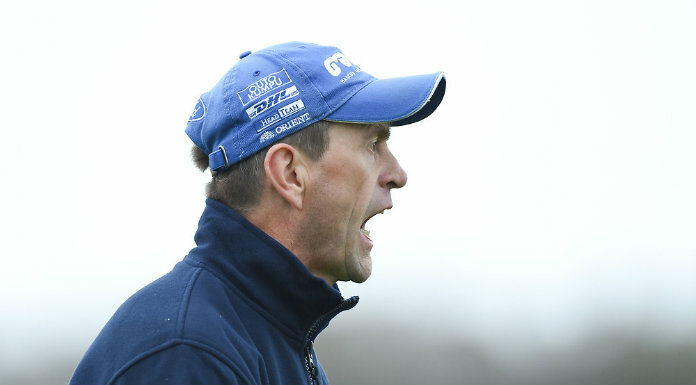 The Claremen can have few arguments with the outcome as Cuala dominated in all the key areas and were full value for their victory in a tie in which Ballyea’s key players failed to dominate as they had done in previous rounds. 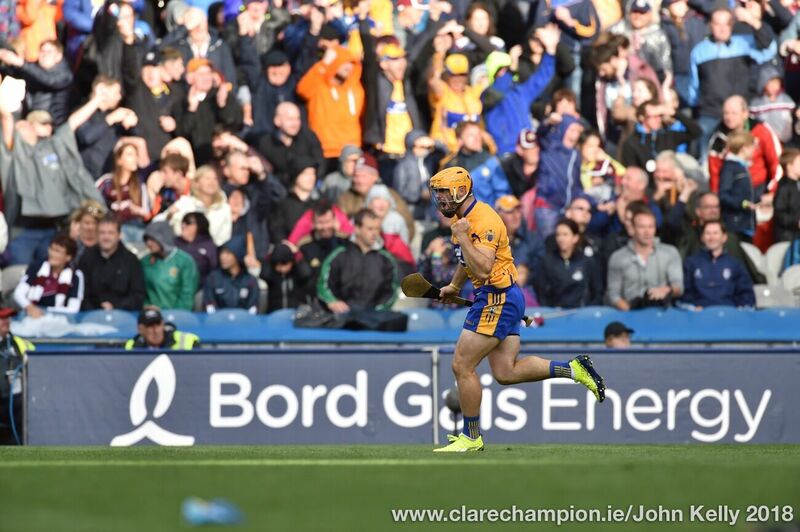 At the end of a low scoring first quarter the winners led by the odd point in three but then a slip up by the Clare side’s defence led to the opening for Colm Cr0nin to strike for the game’s first goal and they went on to open a six point lead by half time when the score was 1-7 to 0-4. 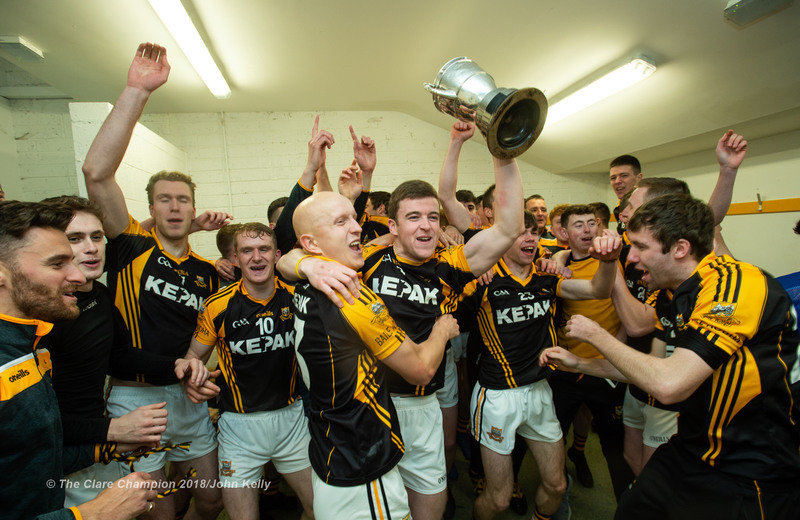 Ballyea needed a good start to the second half and they looked to be on their way to scoring a goal when Pearce Lillis got through but Paul Schutte somehow managed to hook the Cooraclare man and the chance was gone. Ten minutes from time Ballyea fans were given hope when Niall Deasy struck for his side’s goal after winning a delivery from Lillis but it proved to be their final score and Cuala dominated the remaining exchanges adding 1-5 without reply to seal a first All-Ireland club title for a Dublin side. Darragh O’Connell was deservingly named as the man of the match and others to impress for the winners were Paul and Mark Schutte, David Treacy, Cian and Con O’Callaghan. Scorers; Cuala; David Treacy (0-9), 8 frees; Colm Cronin (1-1), Darragh O’Connell (0-3). Jake Malone (1-0), Con O’Callaghan, Colm Sheanan (0-2) each John Sheanan, Mark Schutte (0-1) each. 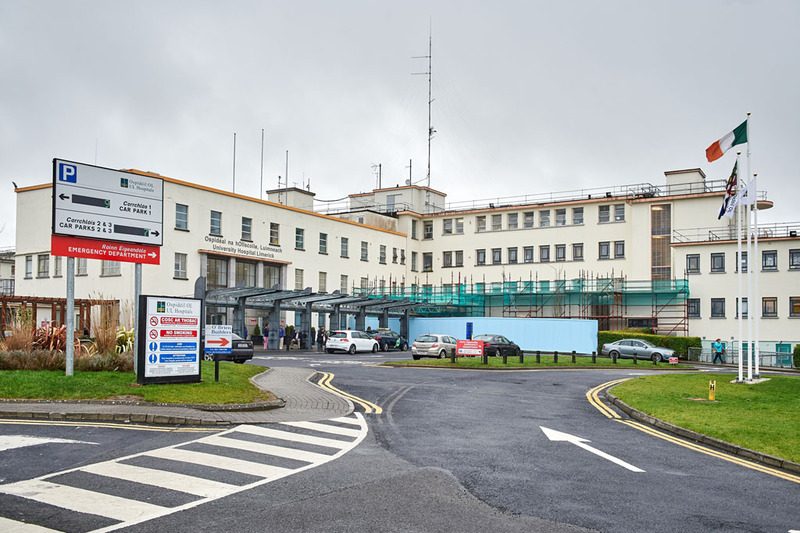 Cuala; Sean Berennan; Oisin Gough, Cian O’Callaghan, Simon Timlin; Sean Moran Paul Schutte, John Sheanon; Jake Malone,Drragh O’Connell; Cian Waldron, Colm Cronin, David Treacy; Sean Treacy,Con O’Callaghan, Mark Schutte.